The Point of Excellence! | TFI Envision, Inc.
Home / Archive / The News / The Point of Excellence! 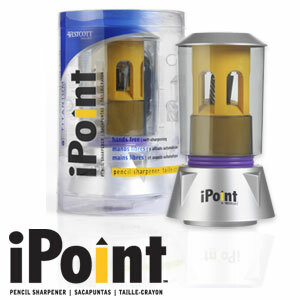 Killingworth, CT – Tom Fowler, Inc. was honored at the The Connecticut Art Director’s Club 30th Annual Awards Show for the package design of Acme United Corporation’s tri-lingual packaging for their exciting new Westcott brand iPoint electric pencil sharpener. This package can be found at Target stores and other retailers. Tom Fowler, Inc. has consistently been selected as part of this annual show for over 25 years.